Phil Jackson says Carmelo Anthony "would be better off somewhere else"
The New York Knicks president isn't sugarcoating an obvious situation. On the eve of the NBA Playoffs, one long national nightmare may finally be over. The New York Knicks are not part of the postseason mix, suffering through a horribly disappointing season that resulted in a 31-51 record and finishing 12th in the Eastern Conference. 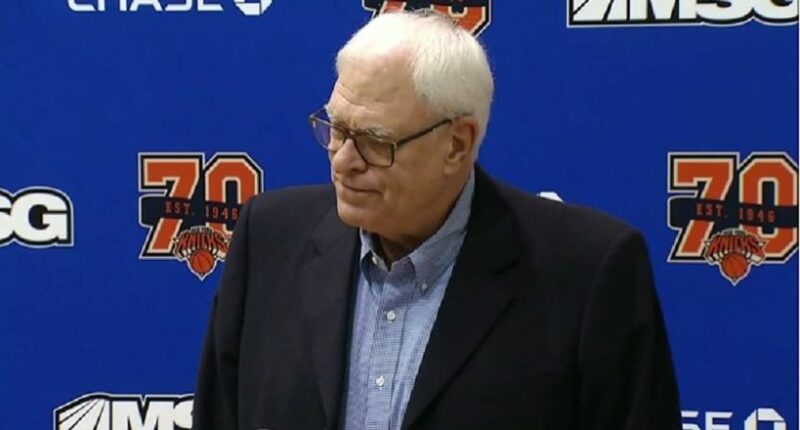 Team president Phil Jackson met with the media on Friday and the big question on everyone’s mind was the issue that surely needs to be addressed before the Knicks decide what their future is. Should Carmelo Anthony be a part of this team or is it in the best interests of both sides to move in different directions? In what may have been a surprising statement — at least for its candor — Jackson made it clear as to how he views Anthony’s place in the Knicks’ future following their season-ending exit interview. If that seemed magnanimous of Jackson to set Anthony free where he can win the NBA title that’s eluded him during his 14-year career, the Knicks president then made it clear that ‘Melo isn’t really an ideal fit for whatever it is the team is trying to do. One person who was apparently listening to Jackson’s presser intently was Carmelo Anthony himself. All lines are now open — phone, email, text, fax if any teams still do that — at the New York Knicks’ front offices! Jackson wants to trade Anthony, which was likely made clearer by his stated intention to take a more active role with the team during the offseason. (That would seem to be an improvement over what’s seemingly been an inactive, nearly figurehead role with the team over four seasons.) Jackson even seemed to indicate that the Knicks went downhill when he took a vacation. Anthony surely isn’t going to put up any kind of fight. Perhaps he and agent Leon Rose can help the Knicks expedite that process as quickly as possible by waiving Carmelo’s no-trade clause and working their own channels to try and make something happen quickly. If the team prez wants coach Jeff Hornacek to play more of his beloved triangle offense, that doesn’t suit Carmelo.